‘Arising’ – the power of transformation within a lifetime, holding our power & shapeshifting into our evolution! 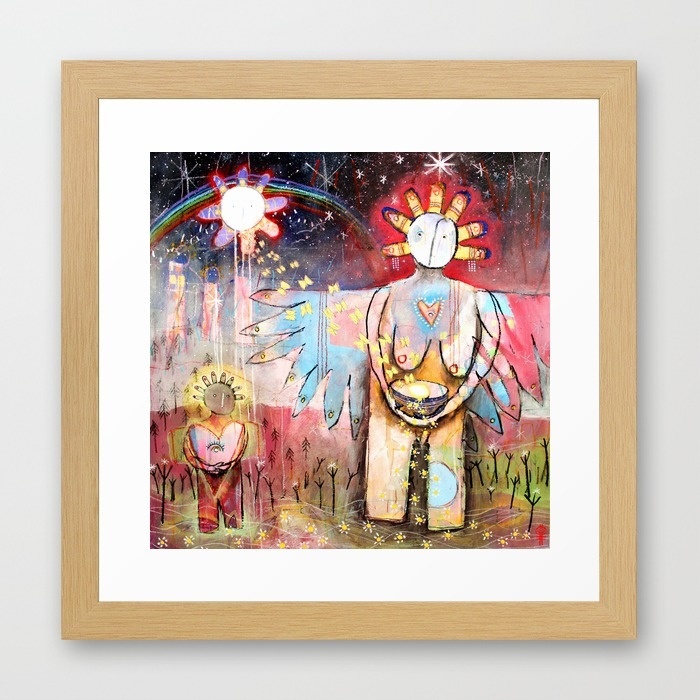 This painting is the final piece of the series of paintings (see also ‘The Gifts Are In The Signs’, ‘Boldness In Becoming’, ‘Our Spirits Are Always With us’ & ‘White Heart Fire’) that I have working on around the noble virtue of ‘Boldness’ and the medicine it can bring when we embrace it consciously in our lives. This is the mapping of the final stage of the journey – Arising! 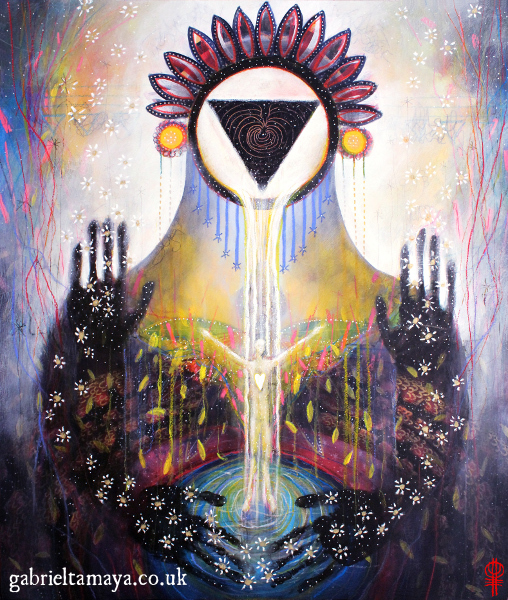 These paintings follow and map the theme of healing, surrendering our old hindering patterns and ways of being.They are about growing trust and listening to the teachings & guidance of our Spirits so that we may find the boldness to step into our becoming – finally arising as our luminous selves! The Great Mother pours into me. and I am loosed from her coils. and to risk finding that which we seek. the power of transformation within a lifetime. the decimating beauty of who and what we truly are. and to be ready to transform, beyond even this. and you were here all the time.